The more we travel, the more we need travel companions. With the vast majority of travellers now owning smart phones, there’s a vast array of travel apps available. Which are the ones that you will actually use? We’ve compiled a list of our top 13 best travel apps, so take a look! 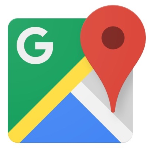 Topping most lists of best travel apps, Google Maps can do it all. Whether you’d like driving directions or information about public transport, this app has you covered. You can even ask it to map walking directions from your current location. The app will then guide you to your destination using a similar setup to your everyday sat-nav system. For cities in particular, the app is virtually faultless. Ever been caught short in a country where you don’t speak the language? 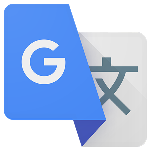 Then Google Translate, which has gotten even smarter in recent years, is the ideal solution. Thanks to user input, the service can now provide a more conversational tone for everyday use. It supports 103 languages, translates more than 100 billion words per day, and can even provide rough translations for offline user, no data needed! 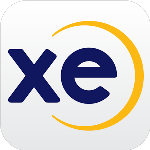 XE Currency is the top website for currency conversions at real time, mid-market rates. You can view historical charts and even calculate prices using the app. All world currencies are represented, which means that wherever you are in the world, you can instantly find out how much you’re about to spend. What better way to keep track of whether that brand new item is worth the money or not? 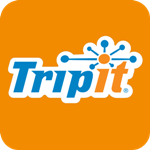 TripIt is a nifty little app that takes away all the hassle of collating travel information. Instead of having a folder or wallet full of paper, simply enter your email login details. The app then cleverly trawls the account and amalgamates everything into a master itinerary. No forwarding emails or entering details necessary! You can also use it to share your itinerary with friends and family so that they’re kept up to date. This reference app is invaluable if you find it difficult keep up with your sun protection. Enter your information following the app prompts, and the app gives you personalised results. These include how long you have until you’ll burn, the local UV forecast, and advice on which SPF level to use. 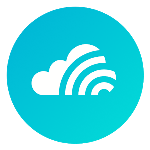 It also offers bonus features such as sunset and sunrise time, local weather forecast, and the option to enter any location worldwide. Skyscanner could almost replace traditional travel agents. 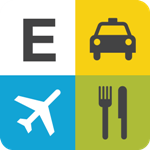 Its innovative app combines flights, hotels, and car hire to make it your one-stop shop. Even better than that, it works to find you the cheapest prices through its travel partners and top deals feature. With the colour-coded calendar, Skyscanner provides you with an overview of the cheapest times to travel, and all searches are synchronised to the flight times you enter. 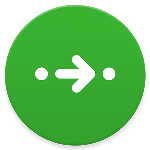 Calling itself the ‘ultimate transport app’, Citymapper is quickly becoming the go-to app for getting around cities. It combines all forms of public transport in order to provide you with the best ways of navigating to your destination. It also features real time data and service reports in order to keep you informed of things that could impact your journey. Once downloaded, it even gives you the option to save your favourite locations for quick access. Have you ever found yourself stranded in a strange city with nowhere to stay? Maybe your hotel of choice lost your booking, or you Airbnb fell through at the last minute. The Hotel Tonight app was set up specifically to help wayward travellers like you. They have partnered with hotels around the world to bring you amazing last-minute deals and availability, whenever you arrive, wherever you are. If you regularly fly into major US airports, this app will save you bundles of time. 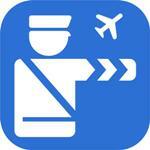 Mobile Passport, partnered with U.S. Customs and Border Protection, allows you to set up your very own profile. By taking a quick selfie, a scan of your passport, and answering a few questions, you get access to the Mobile Passport line at the border. It saves time and hunting for pens, and it’s completely free. Now available at twenty major airport and one cruise port! 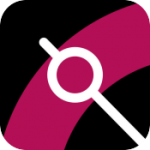 Circa makes time zones easy to keep track of. 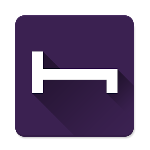 Particularly useful for those who travel a lot on business, this app lets you view multiple world time zones at once. Instantly collaborate across the globe and organise the app in your own way. 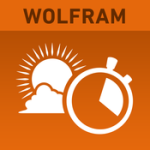 It even provides you with estimates of when people will be awake! Furthermore, you can easily see when your colleagues’ working hours overlap in order to schedule meetings. Invaluable! Expenses are a big part of business travel, and they can be a big nuisance. Thankfully, the Expensify app is here to simplify things. For employers, your employees will be happy to be reimbursed within one business day. For employees, the user-friendly interface makes it easy to collate expenses. Scan your receipts, track your mileage, and the app automatically submits your report to your employer so that you don’t have to. 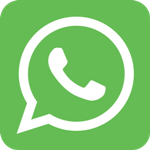 Users across the globe agree that WhatsApp is the perfect solution for keeping in touch—even when at home. While travelling, use your data or Wi-Fi connection. You can send messages, pictures, and media clips. You can also make phone calls through the app! And with the new video calling feature, you’ll never miss your loved ones’ faces for too long. One billion worldwide users can’t be wrong, so check it out today. And finally, beat your jet lag with Sleep Cycle. 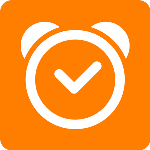 This inventive app allows you to set the time you’d like to wake up with a thirty-minute window. The app’s technology uses your phone sensors to detect when you’re in light sleep and, therefore, wake you gently and naturally. Instead of being startled out of a lovely deep-sleep dream, you’ll wake up feeling refreshed and ready to take on the world once again. For all of your travel needs, never leave home without that smart phone or tablet!